Oh great, it's gone cold again. June, and it's properly cold. There's one thing that this weather calls for, and that's a fine knit. If you were as disappointed as I was to learn that the stripey J.Crew knit from this blog post was sold out, then fear not - this version below from Jigsaw is a great alternative. The only problem I'm having is deciding which colour to keep and which to send back. 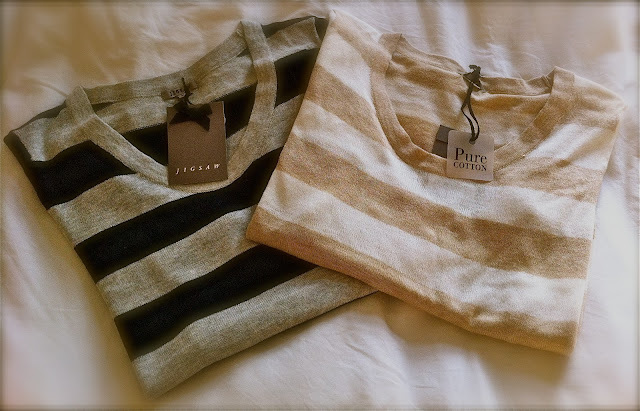 And J.Crew's popular Tippi sweater in a whole rainbow of plain colours remains a good option. The beauty of a knit like this is the versatility - wear it over a vest or under a blazer, and it's easily dressed up with some bold, statement jewellery. 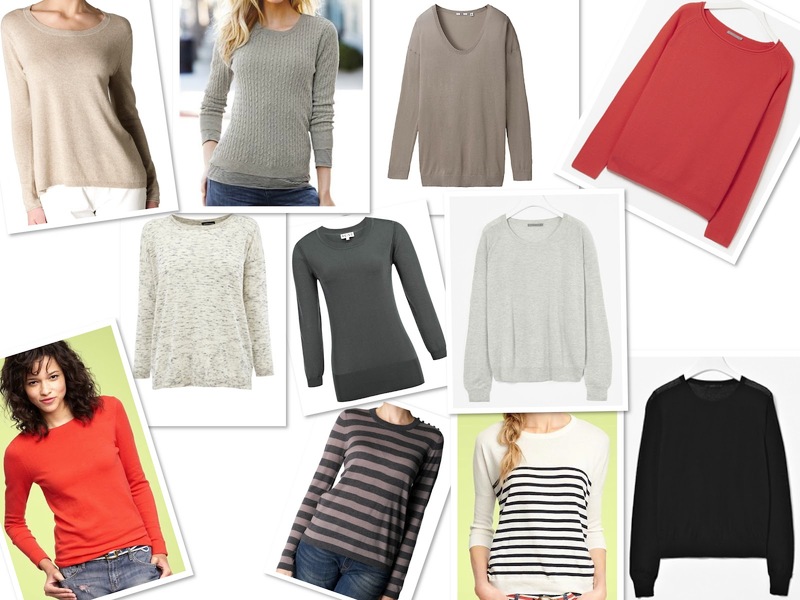 There are plenty of lovely knits on the high street, and most of the selection below are available in a variety of colours. So there's no excuse not to wrap up warm this summer with a look which will keep you going until autumn.